Cab has steel roof, acoustical headliner, front windshield glass, electric wiper, supporting corner posts, steel frame door with clear vinyl panel (LH Only), right side and rear vinyl curtains. Cab is not ROPS certified, but fits with the existing, un-modified factory ROPS. 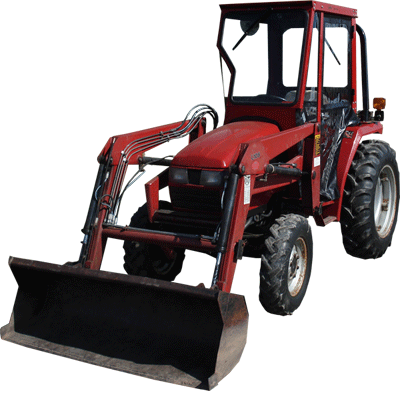 Special Fit-up Notes: This cab will fit bare tractors or tractors with a L108 factory loader. Cab height is 61.5 inches but sits at ROPS bar give or take and inch, measured from the platform floor.